The details for this years Rockstar Tase Of Chaos tour have been revealed. The tour will be headlined by Disturbed, supported by Papa Roach, Buckcherry and Halestorm. Disturbed are giving away the title track from their new album Asylum, away for free! Just click here and sign up to their mailing list! The album will be released with an hour long documentary chronicling the ten year history of the band. 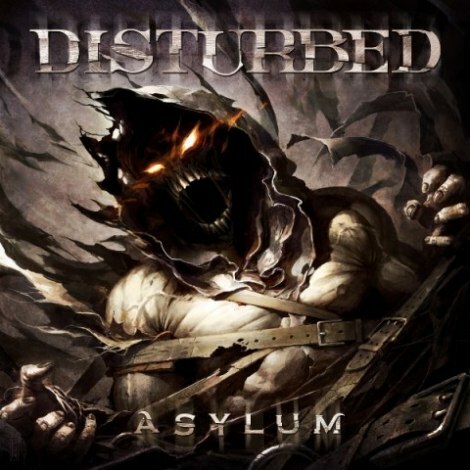 Disturbed have revealed the artwork to their new album Asylum. The album will be released on the 31st August 2010. Another Way To Die, taken from the album Asylum, is out now on the US iTunes store and comes out 16th June worldwide. Mike Portnoy is to play drums with Avenged Sevenfold for the rest of 2010. Although I wish I could stay on board with A7X in a more permanent capacity, the reality is that I am committed to Dream Theater as my main priority (that is my baby after all! ), and I will need to resume work with DT to start a new album at some point in 2011…. However, I will be able to join my brothers in Avenged Sevenfold for at least the duration of their touring throughout 2010…and hopefully this will give them the time to continue to heal and get comfortable back on the road…. You can look at me like the band’s “rebound drummer” to buy them some time until they are comfortable and ready to make a commitment to somebody new for full-time relationship in their future! In the meantime, I am real excited to hit the road with the boys…to bring my drumming from their new album to life on stage and to honor The Rev with all of their older material…. Disturbed, Avenged Sevenfold, Stone Sour & Halestorm on the main stage and HELLYEAH, Airbourne, Hail The Villain & New Medicine on the Jagermeister sponsored second stage.